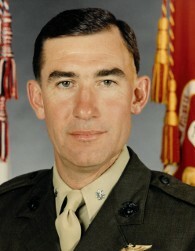 John (Jack) Sullivan, Lt. Col. USMC (Ret. ), age 74, beloved husband, father, grandfather and brother, passed away unexpectedly on Wednesday, April 10, 2019. He is survived by his wife, Linda; his children, Jennifer and Christopher; his cherished granddaughter, Ella; sisters, Regina Clayton and Joan Noonan; and nieces and nephews. He was preceded in death by his parents, John and Bertha; and his son, John Gordon. Jack aka Sully was a friend to all and his kindness and understanding knew no bounds. Through the Knights of Columbus, and his Church, Prince of Peace, Jack gave his time and talents as an expression of love for his Lord. Jack was a fisher of men. Jack was a retired naval aviator and combat veteran who in his retirement loved to play golf, go to Lady LOBO games, volunteering at Sombra del Monte and most of all, entertaining his granddaughter and her friends. A Rosary will be recited Thursday, April 18, 2019, 10:00 a.m., followed by the Funeral Mass, 10:30 a.m., at Prince of Peace Catholic Church, 12500 Carmel Ave. NE. In lieu of flowers, memorial contributions may be made to the charity of your choice.